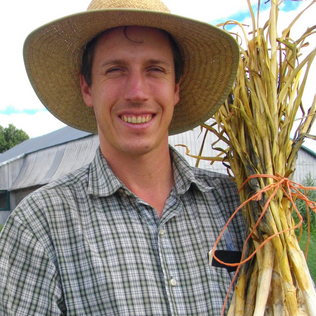 This episode: Part 1 of 2 of my conversation with Dan Brisebois, editor of the seed production blog Going to Seed and co-author of Crop Planning for Organic Vegetable Growers. In this part, Dan talks about the basics of vegetable seed production and suggests how to begin incorporating it into a small scale farm business. In part two, Dan discusses marketing strategies once you're ready to sell your seed. That should be out next week. You can subscribe to this podcasat in iTunes store by searching for 'The Ruminant'. You can download this episode by clicking here.